We learned today that Harry Quarton has passed. During the Summer of 1944, he had landed on Juno Beach as part of the 4th Canadian Armoured Division and had participated in the Battle of the Falaise Gap. 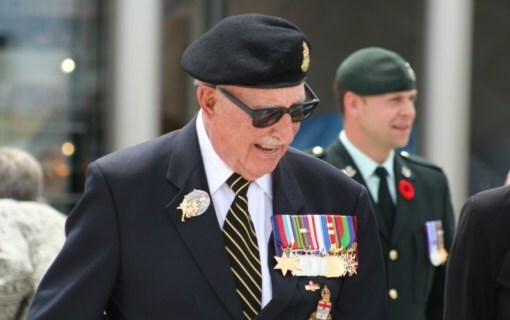 The Juno Beach Centre and the Canadians have lost a friend. We will remember him at Juno. The story of Harry Quarton was presented at the Juno Beach Centre in 2009 and 2014 as part of the temporary exhibition “Veterans Voices” alongside 11 other veterans, who were honored to be present at Juno Beach Centre on June 6, 2009 for the inauguration of this memorable exhibition. Find on this page the biography of the Lieutenant Colonel J. H. Quarton.